At the invitation of Fr. 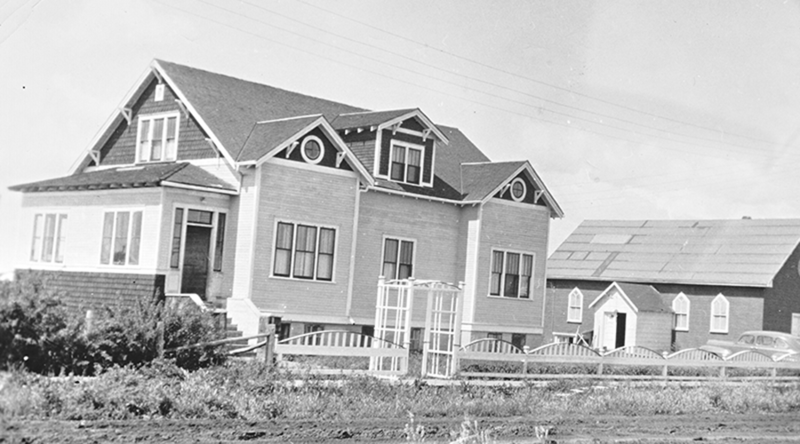 Joseph Paquin, OMI, the Sisters opened in September 1944 a residence for out-of-town students in this Northern Alberta town. Named St. Michael’s Dormitory, it provided room and board at $10 a month for 20 students, most of whom attended high school. 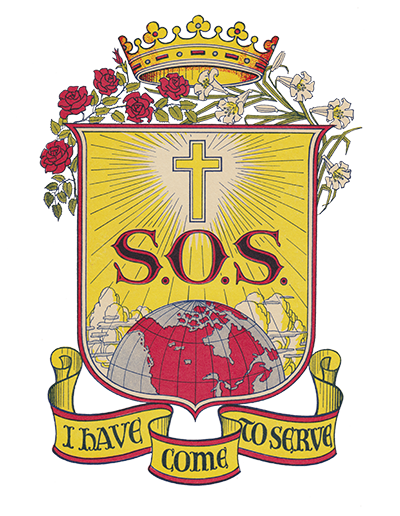 From 1944 until 1955, the Sisters supervised the dormitory, served the meals and prepared students for the sacraments. The students, who went home on weekends, assisted with the daily chores of the residence. By 1955, regular school bus service was available and the dormitory closed but continued to be the Sisters’ residence. Over the 28 years of the mission, a total of 32 Sisters served in Rycroft. Six Sisters taught in the elementary school, another six Sisters in junior high and four Sisters in the senior high school. 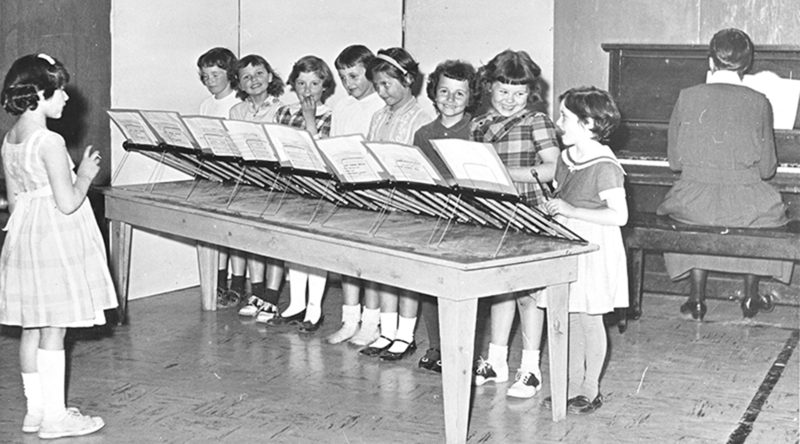 For two years, due to the overcrowding in the three-room Rycroft public school, the Sisters made available space in the dormitory for a temporary classroom until a second school was established. 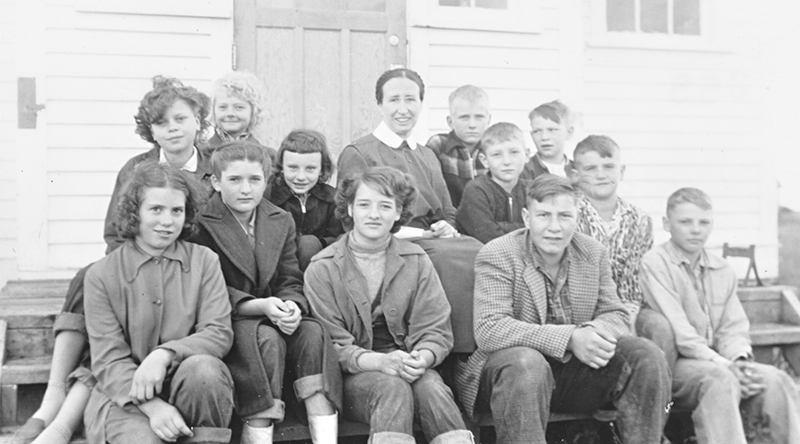 From 1949 until 1953, a Sister also taught in the one-room ungraded school in Silverwood, eight kilometres from Rycroft until it was amalgamated with Rycroft public school. Sisters Madge Barton and Alice Walsh were the last teachers at the Rycroft public school when the mission closed in June 1972.